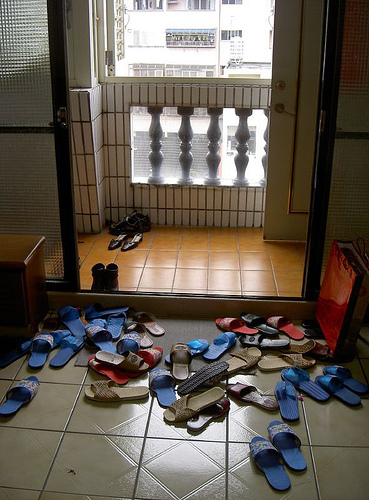 The Taiwanese have a custom of removing shoes before entering a household. They take pride in having clean floors. If you are not sure if you should do this, you should just remove your shoes to be safe. If the host does not care, they will tell you. Usually, people have slippers lined up by their doors. The Taiwanese do not like it when you talk about accidents or death. Talking about these subjects mean they are bound to occur. The sound of the word “four” is similar to death, so that number is unlucky. In hospitals, they try not to put people on the fourth floor. Some people consider it bad luck to live or work on the fourth floor of a building. The color white is associated with death as well, so avoid using white envelopes or wrapping gifts in white. The Taiwanese stress the concept of “face,” which can be translated as pride or prestige. One can lose or gain face, and this concept is common in many Asian countries. To lose face is very shameful, and people try to avoid this at all costs. Confucianism is an important philosophy in Taiwan, and it calls for hierarchical relationships. It also implies that Taiwan is a collective society, and that individuals should belong to a group that’s beyond the self. However, strict adherence toold traditions is slipping away with younger generations. If you get invited to a wedding while you live in Taiwan, the invitation will be sent to you in a red envelope. This is sometimes called a “red bomb.” It is customary to bring money as a gift. You’ll get to feast on a ten course meal at the wedding. 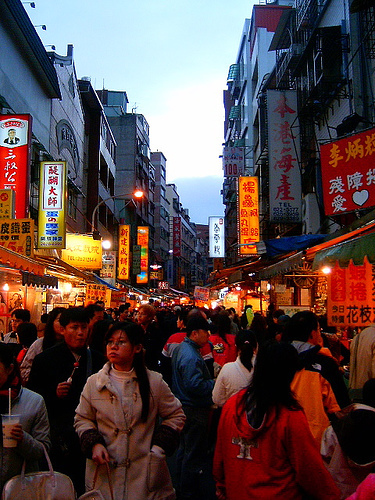 Gift giving is common in Taiwan, and you should bring a gift to someone if you are invited to their house for dinner. Good gifts include fruit, chocolates, pastries or wine. Food baskets are a great present. Many Taiwanese like brand names, so if you can provide any of these items from your home country, that is a good idea. When you give the gift to the host, you should hand it in two hands, and they will receive it with two hands. They won’t open the gift when they get it, unless you ask them to. Gifts are also given on the occasions of the Chinese New Year, births and funerals. People may refuse the gift at first to be polite, at which you should just insist they should take it. Avoid giving knives, scissors or other cutting devices, because these symbolize that you want to cut off connections with the recipient. Straw sandals, clocks and handkerchiefs symbolize death, so avoid giving these. In terms of greeting, the Taiwanese do this formally. Usually, the oldest person in the group is greeted first. The Taiwanese often shake hands with foreigners, and face their eyes to the ground to show respect. You are not expected to do this gesture, they understand that it’s not customary with other cultures. Taiwanese names, like Chinese names, have the family name first and the personal name second. Can you tell me what brand names are popular in Taiwan. I am coming to Taiwan from US to visit customers for my company and would like to bring gifts. Try American brands that they may not be able to find in Taiwan.